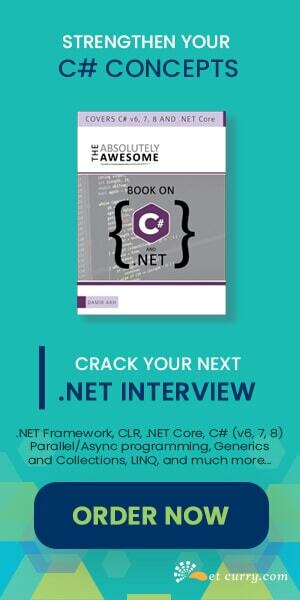 Although the built-in result classes are sufficient for most application scenarios in ASP.NET MVC, it’s worth noting that one of the most important features in ASP.NET MVC is that a developer can extend this framework for occasions where your application requires something special. For eg: the Custom View Engine, Custom Controller Factory, Custom Action Result, Custom Action Filter can be used to extend ASP.NET MVC for your application requirements. This makes MVC as the most adaptive technology for web application development today. One such requirement in a web application could be that it allows binary contents e.g. images, videos, pdf etc. to be downloaded. ASP.NET MVC facilitates this requirement via the ActionResult abstract class. The derived classes from the ActionResult such as the FileContentResult and FileSTreamResult classes are useful to perform binary file download operations. However now consider the scenario that you as a developer want to restrict the Action method to download only the video file and sometimes instead of downloading it physically on the disk, just play it directly. Now that’s a special requirement, so how do we implement it in MVC? Enter the Custom Action Result which gets the job done! Note: The example is just a demo to show the implementation of Custom ActionResult feature in MVC. Downloading Video or playing Video directly in a browser can be possible using various other methods in Web Applications. The ExecuteResult method implementation above looks for the Video file. If it is found, then set the response by writing the file into the response. The Index method now returns the VideoResult; the custom action result implemented in the previous step. 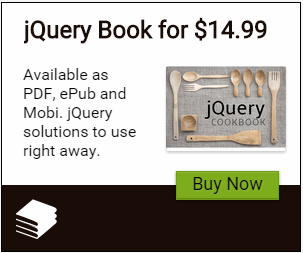 The video tag shown above is provided in HTML 5. The src property is set to the Index method in the Video controller which we have implemented in Step 3. That’s it. So now you can have your ASP.NET MVC application ready for playing various videos in the browser. This is a handy page that shows which browser supports HTML5 Video and in which video format. Conclusion: In ASP.NET MVC, using its extensibility feature, a developer can implement domain based requirements to provide the best end-user experiences. Custom ActionResult is one of the mechanism using which developer can think of defining some restrictions on the responses delivered to the Browser. Awesome, you made my day!! I needed to stream a video from a file that is somewhere on the harddisk and not below inetpub. Yyour solution made it possible, THANKS! Do you know how to play videos in other formats, like wmv or avi? I'm trying to get a behavior similar to accessing directly to the video url (http://localhost/video.avi). This method opens VLC media player plugin to play de video, instead of download it. Rectify, using the correct MIME type for each format when serving the video, vlc plugin launches, but the video doesn't play. I keep searching for the mistake. VLC plugin wasn't playing the video because it hadn't Authorization to execute the method (the web browser can access because user is logged in, but vlc player has not credentials). The trick is mark the method to allow anonymous access via "[AllowAnonymousAttribute]". @Thomasz Thanks for that link! Hi, can you help me, its work perfectly on ie, safari, firefox but not on a ipad.. Thank you for the article. It's strange, I've repeated all the steps you described, and I can download stream as a file, as described on Step 4, but the video player itself doesn't play the stream, says, Incorrect source. Maybe someone had already faced the same issue. What could be the problem? I can't think of any logical reason. Hi There. You have set a static path of the file. But how to set a dynamic path.